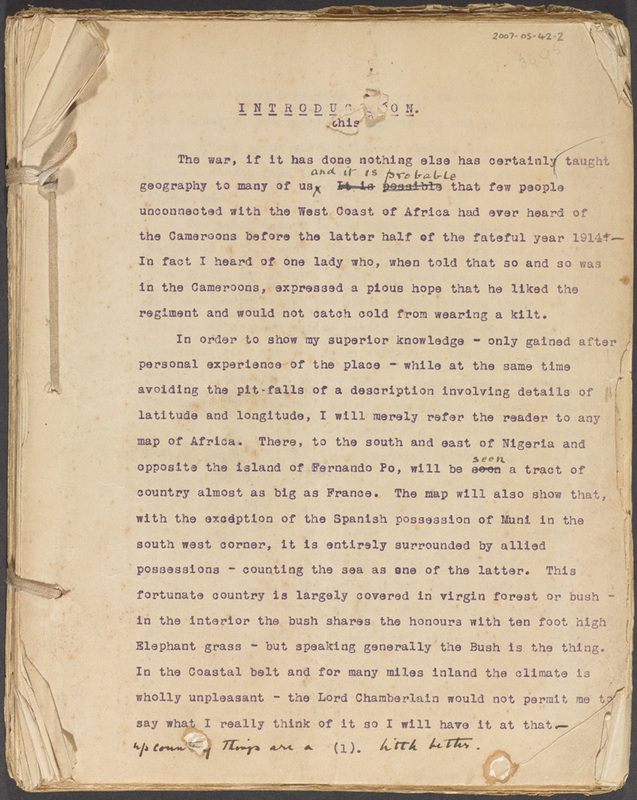 The diary of Major Charles Stooks of the 5th Light Infantry reveals the difficulties faced by those involved in the final conquest of Germany’s West African colony of Kamerun. 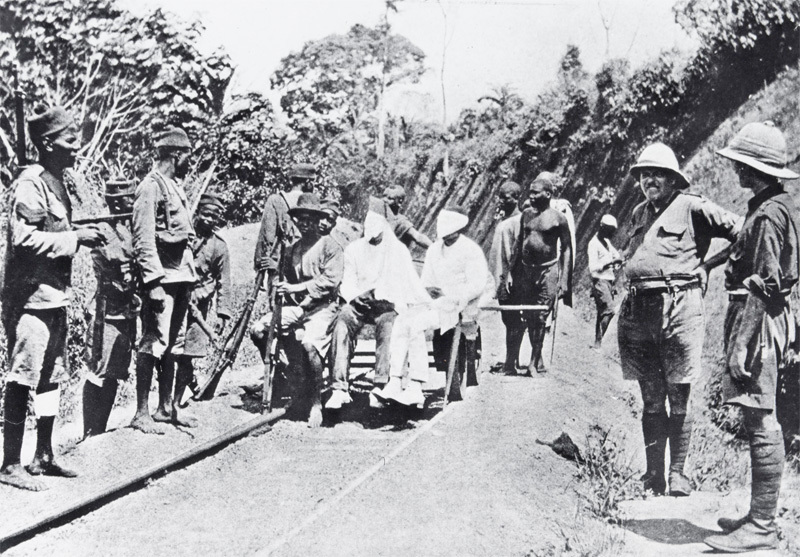 In February 1916 the Allies finally completed the conquest of German Kamerun (Cameroon). 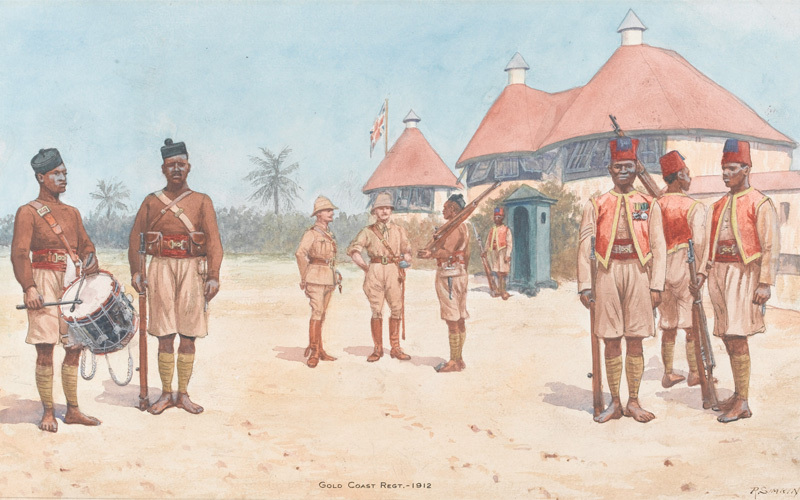 The contribution of Britain’s West African and Indian troops was crucial in securing this victory. Both their role, and the wider experiences of all those fighting in one of the war’s forgotten side-shows, are revealed in the diary of Major Charles Stooks of the 5th Light Infantry. Germany’s West African territories consisted of Togoland (now Togo) and Kamerun (now Cameroon). They were poorly defended and surrounded on all sides by French and British colonies. Togoland was conquered in August 1914 by forces from the British Gold Coast (now Ghana). Three British columns then attacked Kamerun from Nigeria, but all three were defeated by a combination of rough terrain and German ambushes. 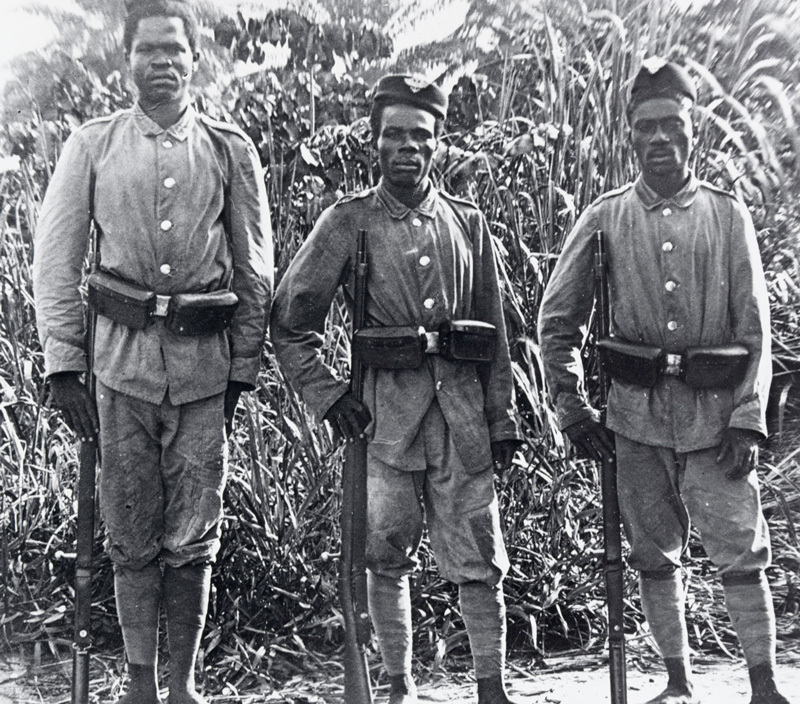 Kamerun had a garrison of about 1,000 German soldiers supported by about 3,000 African troops. 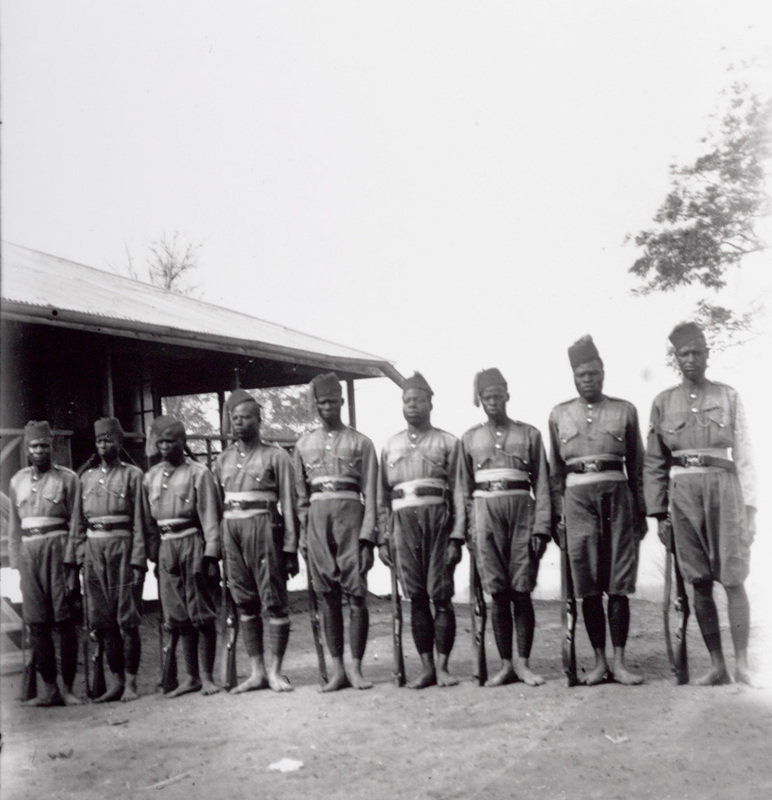 British forces included the Nigeria and Gold Coast Regiments of the West African Frontier Force, and eventually Indian and British troops. 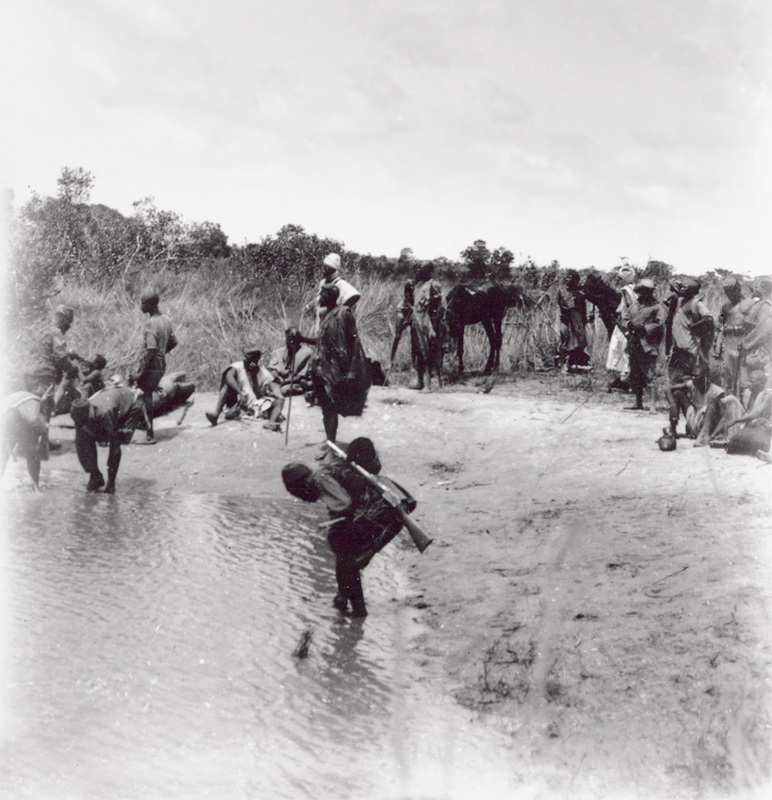 In September 1914 the French attacked south from Chad and captured Kusseri in northern Kamerun. 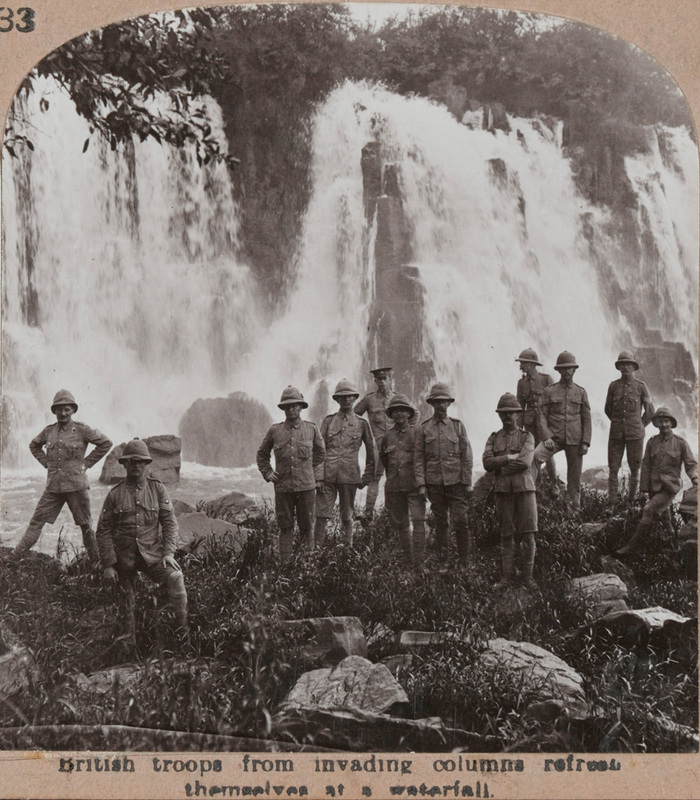 Early in September 1914, a Belgian-French force from the Belgian Congo (now the Democratic Republic of Congo) captured Victoria (now Limbe) on the coast. With the aid of four British and French cruisers acting as mobile artillery, this force captured the colonial capital of Douala on 27 September 1914. The Belgian-French troops then followed the German-built railroad inland, beating off counter-attacks along the way. 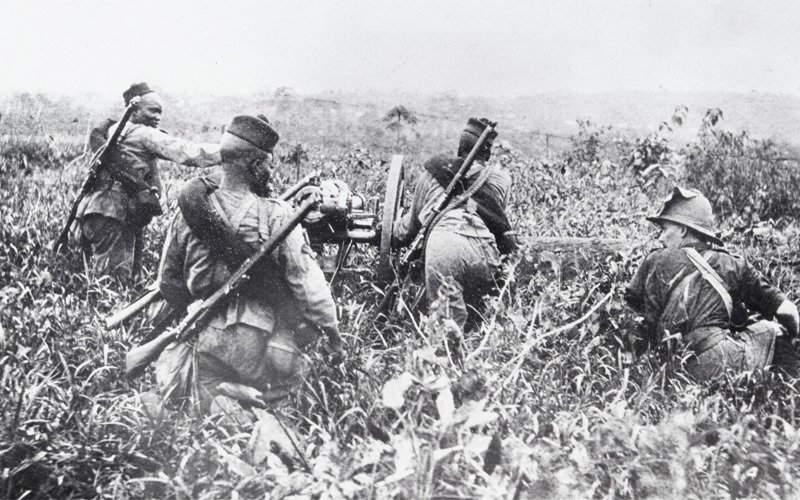 By November 1914, Juande (now Yaounde) was captured and most of the surviving Germans had either retreated into neutral Rio Muni (now Equatorial Guinea) or to the interior, where they held out in posts at Banjo, Fumban, Jokoo and Garua. During the next year the re-inforced Allies gradually captured these. Those men who could get anything of a view opened fire from the grass at the sides of the road. It was an unfortunate position though, owing to the twisty nature of the road, not many men could use their rifles to start with. However, this was soon remedied by moving sections on to the hill above the road, and in a short time a heavy rifle fire was being directed on to the opposite hills. Very little could be seen, but it was evident that the Huns were occupying a small village about 800 yards across the river. After many such skirmishes and long marches through inhospitable terrain, the last surviving German post surrendered on 18 February 1916. German rule in Kamerun was at an end. Charles Sumner Stooks (1875-1953) was born at Longbridge Deverill, Wiltshire, on 23 December 1875. He was the eldest son of Reverend Charles Drummond Stooks and Alice Louisa Sumner. Charles had three younger brothers and three younger sisters. In 1881 the family was living at Crondall in Hampshire where Charles’s father was curate of Crondall church. They later moved to Yately, also in Hampshire. Charles Stooks was educated at Cheltenham College and the Royal Military College Sandhurst. He was commissioned as second lieutenant in the South Wales Borderers on 28 September 1895. He was promoted to lieutenant in April 1897 and transferred to the Indian Army in 1899 joining the 20th Madras Light Infantry (re-named the 62nd Punjabis in 1902). By September 1904 he had risen to the rank of captain and the following year transferred to the 5th Light Infantry, going on to serve in China in 1901. Stooks was married to Eileen Alberta Strover, the daughter of Major-General George Strover, at St John’s Church at Nowgong in Bengal on 12 September 1910. Their children were Henry Joseph, Robert Joseph and Gertrude Stooks. In October 1914 Stooks’s unit left Madras for Singapore. While there it was involved in a mutiny caused by poor communication between the Muslim sepoys and their officers, slack discipline, an unpopular commanding officer and the influence of Indian nationalist and pro-Turkish agitators. The revolt was put down, but not before the rebels had killed several civilians and British soldiers, and attempted to release interned German sailors. Over 40 mutineers were executed and 130 imprisoned. In July 1915 the remnants of the 5th Light Infantry, seven British and Indian officers, and 588 sepoys sailed from Singapore for West Africa. They served with the Bare Column in Cameroon between September 1915 and February 1916. In December 1917 the 5th Light Infantry briefly moved to Somaliland, before returning to India during January 1918. The regiment was disbanded in 1922 as part of the restructuring of the Indian Army. Stooks retired with the rank of lieutenant-colonel and resided at Yately. He died on 7 May 1953 at Bromhams in Yateley. His funeral took place at Yately church and was followed by a cremation.